‘The Keychain Collection’ is a valiant contribution to the Brownswood series, where it seems Gilles Peterson still has a knack for discovering and pushing those emerging artists in to the limelight. Typically, Peterson is associated with the more fluid, mellow sounds, yet here he strays towards Gang Colours’ mosaic of disjointed and sombre compositions. ‘In Your Gut Like A Knife EP’ was the Southampton producer’s first venture on the Brownswood label, but this year he returned with his debut LP. 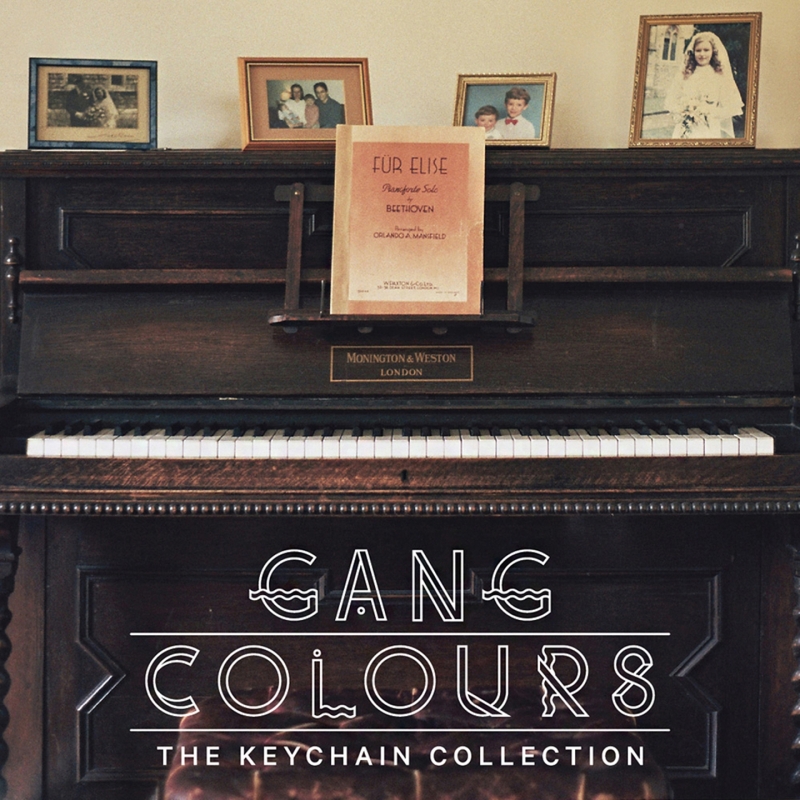 ‘The Keychain Collection’ showcases Will Ozanne’s (Gang Colours) brilliant formula; short sparse tracks that combine raw piano chords with sluggish R&B tinged drum patterns, topped with intermittent yet poignant vocals. Standout tracks ‘I Don’t Want You Calling’ and ‘Tissues & Fivers’ do just this – both tracks build upon simple piano arrangements, but are met with crashing hip-hop drum kicks and Ozanne’s carefully placed solemn vocals. The centrepiece of the debut is ‘Botley In Bloom’, which has an energy like no other track on the album – teasing vocal echoes and tentative percussion finally give way to the most dance-orientated verse across all ten tracks. The standard is maintained with ‘Fancy Restaurant’, the lead single that throws down the Brownswood calling card. Jazz vibes set the scene for a crisp delivery of Ozanne’s clearest and best vocals yet: “I know you don’t care that much about money/ but I’m gonna make some and take you out”. Two lines that voice the simplest sentiment, yet speak louder than your average soppy pop song. ‘The Keychain Collection’ charms in a mesmerising half-hour, gracing your company with a succinct insight into Ozanne’s musical world. It’s without a doubt one of the standout albums of 2012. Gang Colours performs ‘Fancy Restaurant’ from brownswood on Vimeo.